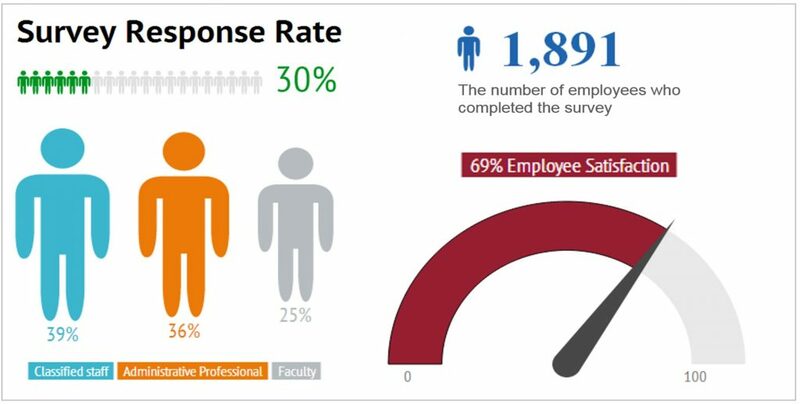 The first WSU Employee Engagement Survey was sent to all active faculty, administrative professional, and classified staff on March 31, 2014. The survey response period was March 31 to April 11, 2014. The results from the 2014 survey serves as a baseline and will be compared to future surveys to measure progress and determine how effective improvement efforts are in the long term.